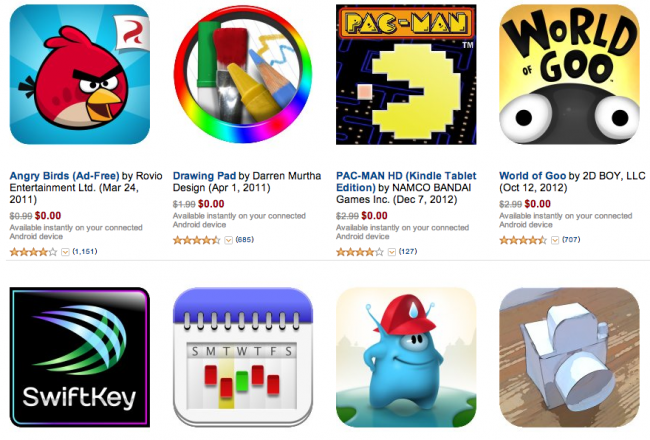 If you don’t frequent Amazon’s free app of the day, today might be the day to stop back by. The online retailer is offering up a handful of their greatest hits, all for free as we head into the weekend. You’ll see titles like World of Goo ($2.99), Swiftkey ($3.99), PAC-MAN ($2.99), and Sprinkle ($1.99). Of course, you’ll need Amazon’s Appstore in order to get any of these, and may even need to keep it installed to use them. That’s unfortunate, but part of the game. Cheers Tony, Brian, and Greg!